The radio programs and the short stories entitled “Miss Kruger from Hamburg,” “The Crystal Murder,” and “The Works of Winawer” earned them the prize of the Polish Radio and ZAiKS Authors' Association as well as the prize in the Bruno Winawer competition. Wilhelm also received an individual award in 1966, the Second Prize in the Bruno Winawer competition. 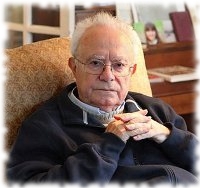 His opportunity to leave Poland with his wife Ola and sons Bronek and Julek occurred during the anti-Semitic campaign in 1968. Taking this opportunity, Wilhelm resigned his membership in the Communist Party and applied for permission to leave Poland. Within six months, the Dichters were at Warsaw’s Glowna "Central" train station, waving goodbye to their closest friends and family as the train pulled away from the platform. Leaving virtually all of their possessions behind, taking some clothes, books, about $200 in cash, and their two-year old cocker spaniel Ida: the Dichters set out for the United States. With intermediate stops in Vienna, Austria and Rome, Italy, they waited for four months to obtain a visa for entry to the United States. In Austria, they family became humorously known as ‘Der Dichter mit der hund’ (The Dichters with their dog). The family finally landed in the United States, arriving at JFK airport on December 23, 1968. The next year a daughter, Elizabeth, was born completing the family. Wilhelm started work at Colt Firearms on Long Island in the R&D department in 1969. His first assigned project was to design a bullet to be fired from a standard handgun which was to drop to the ground after travelling 20 feet. The project, designed to combat hijacking so prevalent in the 1970’s, was a success. In 1972, He was transferred to Colt headquarters in Hartford Connecticut. He worked there until he decided to change the direction of his career into the field of algorithms design for imaging hardware and software in 1978. His position in the German-based Linotype-Hell moved him to the Boston area in 1990 and he retired from engineering in 1996, and turned toward a full-time career in writing. His engineering career was marked with many innovations and a number of patents, in the areas of mechanical engineering, ballistics and image processing. 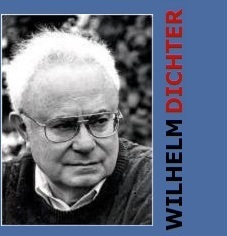 Wilhelm Dichter wrote the final parts of the trilogy in (Szkola Bezboznikow), ‘The Atheists’ School’ (2000) and (Lekcja Angielskiego), ‘Learning English’ in 2010. The first two books were translated by Madeline Levine and released in one volume by Northwestern University Press in February 2012. Wilhelm is now writing a new novel moving away from the subject of his trilogy. He has not yet revealed the subject of this new project. Wilhelm and his wife Ola spend quality time with their children and grandchildren and live in the Boston area.